Just two days after Amy Landecker signed on for a mystery role in Doctor Strange, the Marvel adventure has brought on another new cast member. 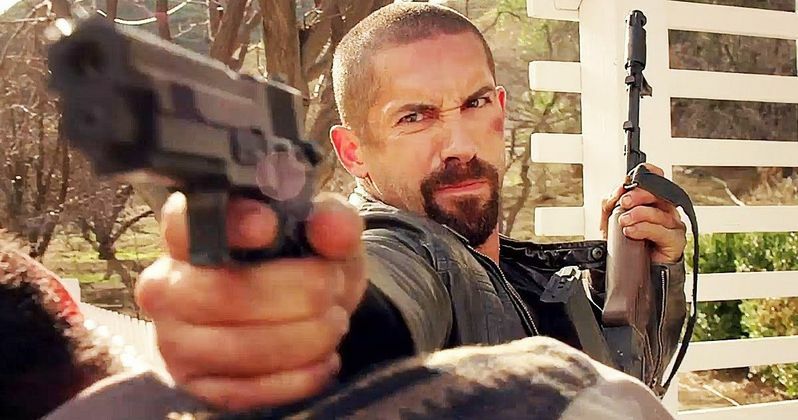 The Wrap reports that Scott Adkins has joined the cast in an unspecified role. The actor is best known for his martial arts expertise, and sources claim that the actor will have numerous major action scenes featuring hand-to-hand combat. We don't know for sure if this character will be fighting Doctor Strange himself, but hopefully we'll get more details as production continues. Regardless of who he's playing, Scott Adkins joins a cast that includes Benedict Cumberbatch as Stephen Strange, Tilda Swinton as The Ancient One, Chiwetel Ejiofor as Baron Mordo, Michael Stuhlbarg as Nicodemus West and Rachel McAdams as the female lead. Rachel McAdams has been rumored to be playing Night Nurse, but that has not been confirmed. It isn't known how many other main or supporting characters have not been cast yet. The original comics follow Dr. Stephen Strange, a neurosurgeon who loses everything after a car accident leaves both his hands injured, rendering him unable to perform surgery. This leads the Doctor to travel the world in search of a cure for his hands, where he meets The Ancient One, who takes Stephen under her wing. The Ancient One trains him to defend the world against evil on his way to becoming the Sorcerer Supreme. Scott Derrickson (Deliver Us from Evil and Sinister) is directing from a script by Jon Spaihts, the writer behind Prometheus and upcoming projects such as Universal's Untitled Mummy Reboot and Sony's Passengers, starring Jennifer Lawrence and Chris Pratt. Marvel has already set a November 4, 2016 release date for Doctor Strange, arriving almost exactly six months after Captain America: Civil War. Production started earlier this month in Nepal on Doctor Strange. Scott Adkins holds black belts in tae kwon doe and kickboxing, skills he has put to use on the big screen in a number of major action movies. His breakout role came in 2006's Undisputed II: Last Man Standing, and he has also starred in The Bourne Ultimatum, The Expendables 2, Zero Dark Thirty and last year's The Legend of Hercules. He will next be seen in Criminal, alongside Gal Gadot, Ryan Reynolds and Gary Oldman.